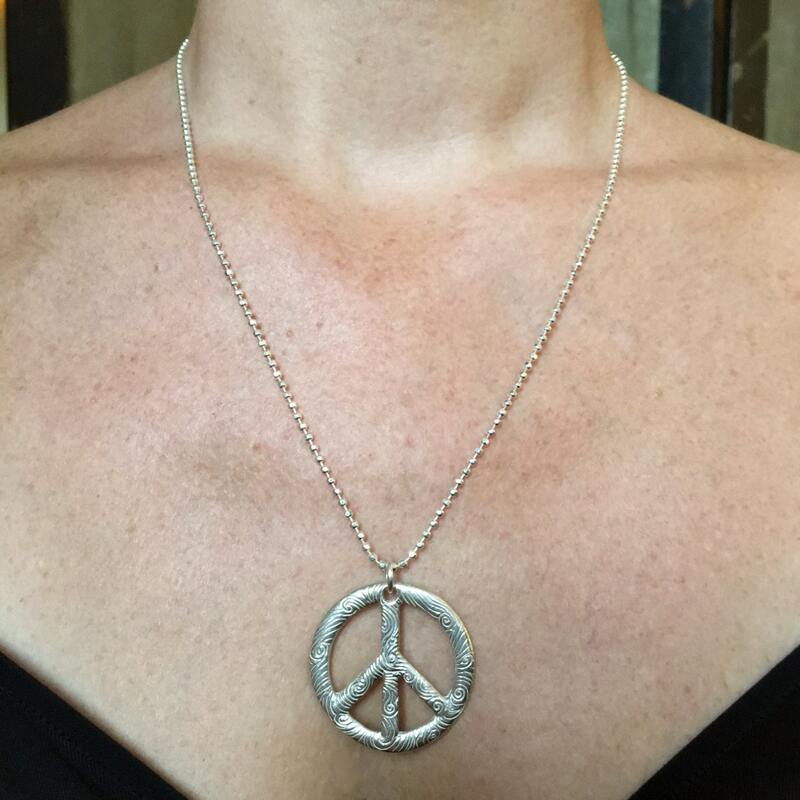 This solid sterling silver peace sign measures approx. 3.4 cm (1 3/8") in diameter with an approx. 1.8mm thickness and is hung on a sterling silver chain- your choice of 50.8cm (20") diamond cut ball chain, 50.8cm (20") box chain or 76.2 cm (30") 1.6mm rope chain. 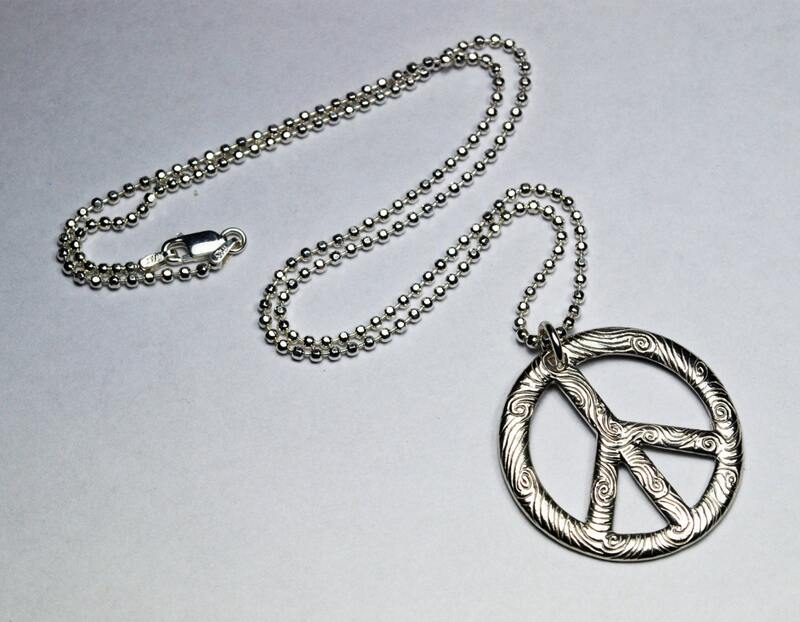 Available in white silver or partially oxidized (blackened) silver. 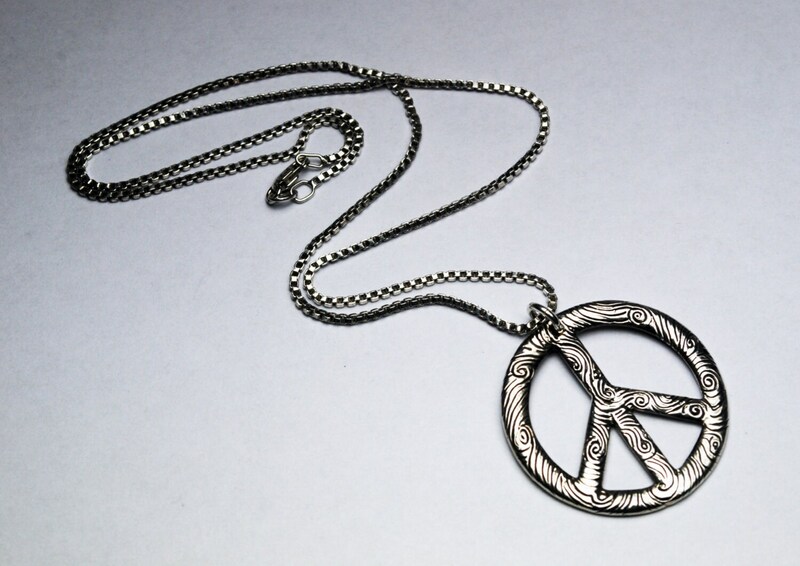 I molded and cast this from a peace sign that belongs to my cousin. He bought it in the 1970's after saving his paper route money for weeks. 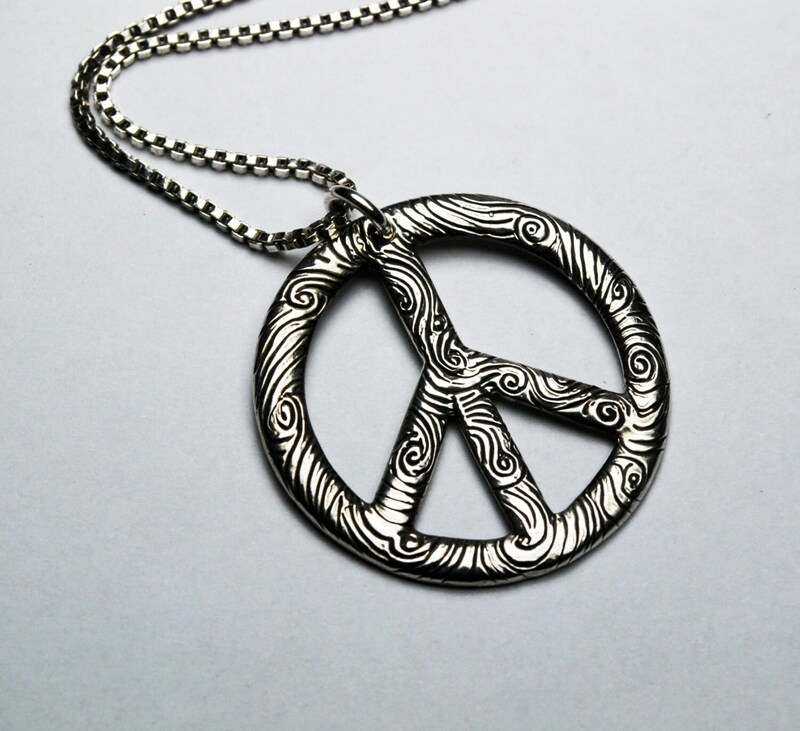 As a teenager he wore it proudly and world Peace became his life's devotion. As an adult he works for the UN and has been on missions all over the world. Currently he is stationed in Africa. 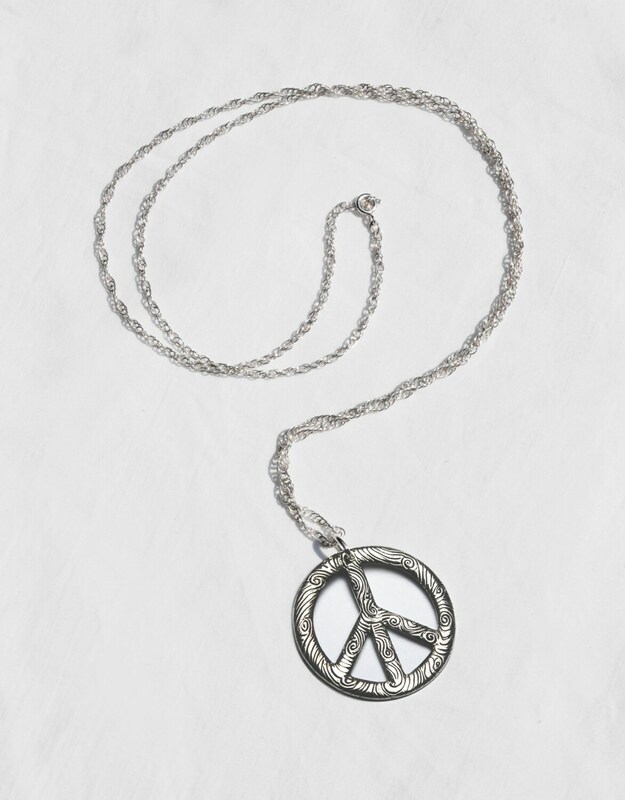 HELP SUPPORT FAIRNESS AND PEACE FOR ALL!